Even as a kid learning to ski on the slopes at Blue Mountain, I was well aware that that apres ski is really where it's at. Warm fireplaces, hot cocoa, and.... fabulous style. Well, as fabulous as style could be in the late 80s. Fast forward to 2011 and chalet chic is definitely hot whether you're in ski country or wishing for snow back home. The good news is, it's so easy to emulate the snow bunny look with a few key pieces. Look for a relaxed fit or oversized sweater in cashmere, fair isle print or knit trimmed. I love these pieces, from left to right, Valentine K, Old Navy and Smart Set. 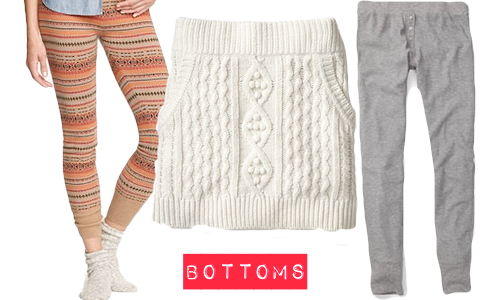 If you're going loose on top, go with a slimmer fitting bottom but be sure to keep the comfort factor flowing. 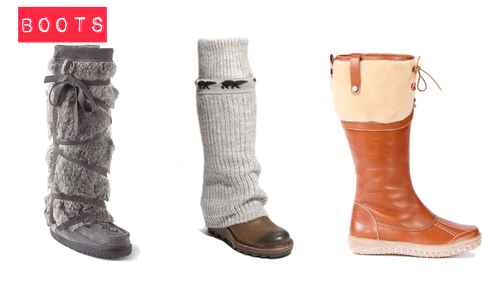 I like, from left to right, fair isle sweater leggings from J. Crew, cable knit skirt and lounge leggings from Joe Fresh. Accessories are a chance to add some whimsy to your outfit. Even though you're probably sitting fireside, it's totally apropos to choose something fuzzy or furry. 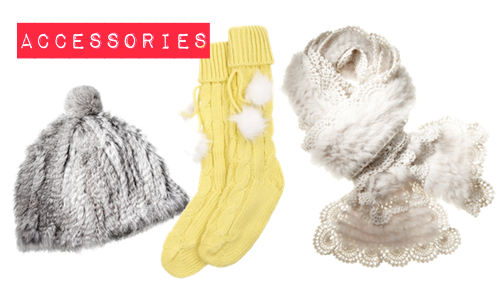 I love, (from left to right), fur hat from Danier, pom pom socks from Jacob and a crocheted fur scarf also from Danier. Great boots finish off your outfit. I recommend flats or wedges to keep things relaxed. I love styles that echo what you might wear up top with fur, knit and shearling accents. My picks, left to right, are from Manitobah, Sorel, and Rudsak. As you can see, fair isle + fur + knit + cozy = chalet chic. Don't wait for your dream trip to Whistler or Aspen, wear this look now. Just add marshmallows. 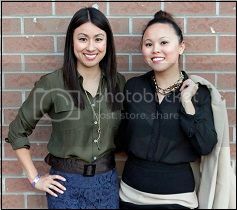 -- Tamika Auwai is a fashion junkie, splurge-a-holic and founder of Shop Socials.